We pick the best parts to build a lean media backup and streaming machine. How many gigabytes of movies, music, and photos do you have on your local hard disks, external drives, and random USB keys? We're willing to bet a lot. We'd also wager that the vast majority of this media never gets accessed--what a waste. Worse yet, all your accumulated data is just one inevitable disk failure away from being lost forever. It's time to give your media a safer and smarter home in the form of a Home Server. We'll show you how to build an inexpensive but powerful server to back up, share, and stream your files. Read on to learn how we decided between Intel and AMD builds (spoiler: we built both), how to set up Windows Home Server, and what third-party programs to add to leverage the power of a dedicated server. When we started building our home server, we knew we wanted a price around $500, but we weren't sure what CPU architecture to use. 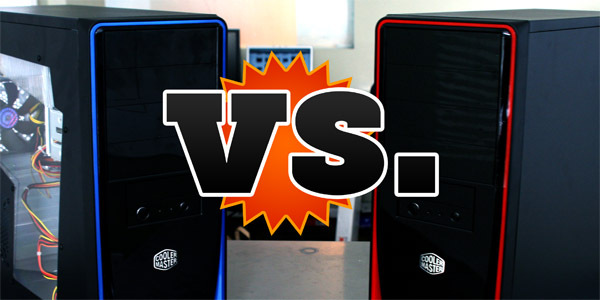 Our budget limited us to around $100 for CPU, which meant we could choose between a dual-core Intel Core i3 530 ($115) or a quad-core AMD Athlon II X4 630 ($99). The problem? We wanted to be able to do light video transcoding and file container repackaging on the server. Our previous experience with lightweight, NAS-style Windows Home Server machines made us skeptical that dual-core machines would have the CPU juice needed to handle any transcodes, much less transcoding HD resolution source material. Using Windows default file browser to transfer our test files, we saw a fairly clear performance victory from the AMD machine in every test other than the large file download. No matter what we did, the AMD system just choked on the 4GB file, it took almost 30 seconds longer to download the file from the AMD server than it did from the Intel one. The Athlon-equipped server handled the smaller files better than the Intel server, turning in the only single-digit transfer time we saw. Our FTP test showed different results. 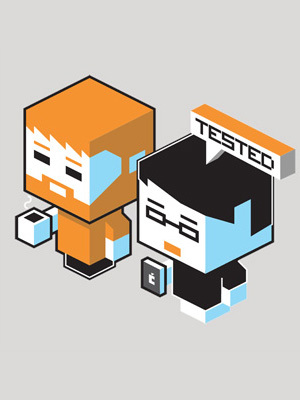 The AMD machine took two tests, the Intel machine took two tests. While most of the scores were close, the small files upload was dominated by the Intel machine. We're not sure why the discrepancy, but as with the Windows file transfer test, it's not a big enough problem to knock either machine. Power turned out to be the big differentiating factor on our Home Servers. While the dual-core Intel machine drew a meager 49W at idle and 70W under load, the quad-core Athlon was a juice guzzler in comparison--pulling 71W at idle and 90W under load. While it's true that it's a little unfair to compare power use between a dual-core and quad core, the performance (in video transcoding and network transfers) and price are close enough that we're comfortable making the comparison. And, the fact that the Intel machine was fast enough to do what we wanted while pulling less power was enough to make it the winner of our Windows Home Server test. *All prices are from Amazon, as of May 25. Once you've build your server, it's time to get Windows Home Server installed. Without this OS, there's really nothing different between the server and any desktop PC. In fact, that's why you can easily repurpose an old desktop as a home server just by installing WHS. The install process is fairly straight forward, but we'll walk you through the important steps and offer some pro tips. Depending on how you obtained Windows Home Server (either by buying an OEM DVD or downloading the trial version), your install process may differ a bit. For our purposes, we're using the downloaded trial ISO, which we've then mounted on a hard drive using Slysoft's freeware Virtual CloneDrive utility. The reason we've done this is because, well, our Home Server doesn't actually have a DVD-Rom drive! It doesn't need one, either, because we're going to install the OS using a USB key. The web ISO is also more up-to-date than currently shipping OEM DVDs, so you can avoid having to install as many OS updates. this guide will show you how to do it in Windows Vista or 7. 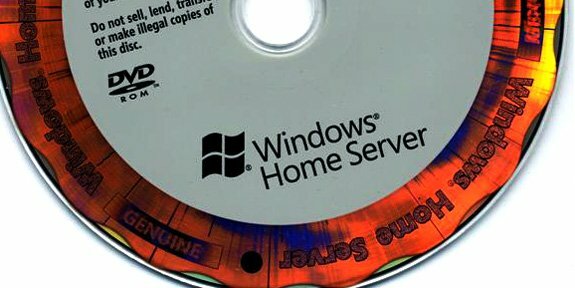 Once the thumbdrive is formaltted properly, just copy the entire contents of the Windows Home Server mounted DVD onto the key. 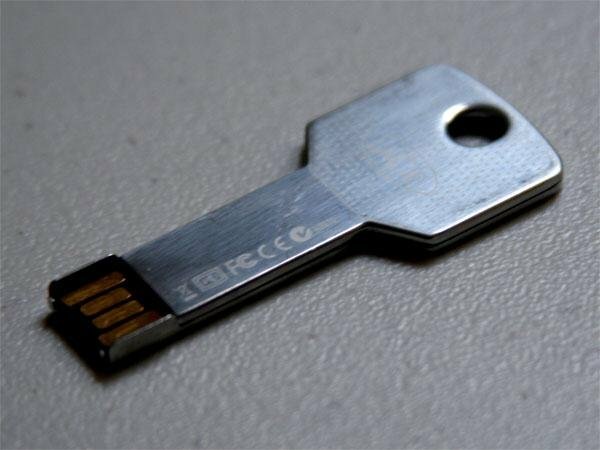 The files take up 860MB, so if you're using a 1GB key, you'll have some extra storage space. We recommend searching for and downloading your motherboard and network drivers (make sure they're compatible with Windows Server 2003) and putting those files on the USB key so the OS install wizard can recognize your hardware. Configure your motherboard BIOS to boot from the USB key to start the WHS installation process. The install wizard will ask for you to input some basic preferences, such as the server name and a strong administrator password. It'll also show you what hard drives it's detected in your machine, so make sure both drives are present. When prompted to choose a primary drive for the OS, select your fastest hard drive. In our case, that's the Seagate 1TB drive. WHS will format all installed drives and configure them with its unique filestructure. When setup is finished, the server will restart and be ready for use. The OS will resemble the Windows you're familiar with, complete with the Desktop and Start Menu. Head into the Control Panel and finish installing any missing drivers to get the server network-capable. servername:55000", with servername being the name you gave to the server during the OS install. This takes you to a server's Connector setup page, where you can download the Connector software. Run the executable, and the Connector will automatically search for your server and pair them. You'll need to type in the server's administrator password, as well as set when to allow backups to occur. Download and install the Connector software on every machine you want your WHS to back up (up to 10). When installed properly, the Connector should appear in your Windows system tray. This is where you'll be manually start backups, access network shares, and load the Windows Home Server Console to manage backups, add users, monitor storage, change server settings, and install Add-ins. guides at Port Forward. You will also need to set a static local IP address for your WHS. Every computer on your local network is assigned a local address, though the assignments may change depending on which systems are connected. You need to ensure that the server is always given the same address. This guide shows you how to do that. 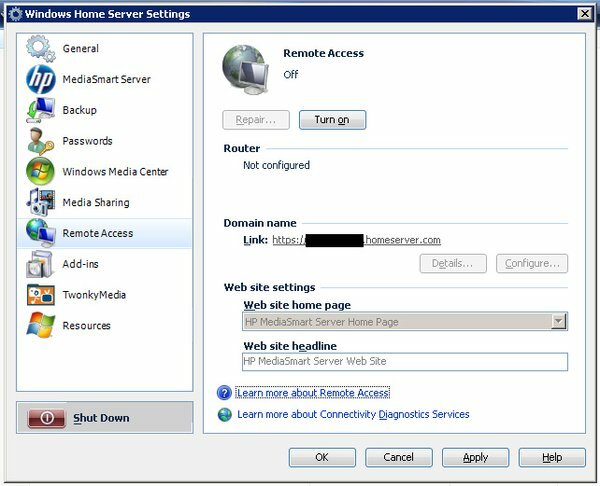 Once WHS verifies that your Server can be accessed from the web, you can set up a homeserver.com subdomain. Click the Configure button under Domain Name and run through the setup wizard. WHS will require that you have a Windows Live account to use this feature--this is the same as your Xbox Live login. Once you approve Microsoft's terms and conditions, you can choose any homeserver.com subdomain that is still available. If everything is done right, you'll be able to access your server's files using this address. 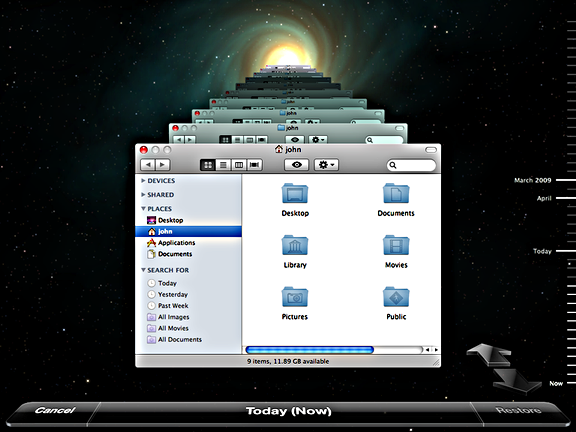 our guide to setting up Mac Time Machine backups on WHS here. 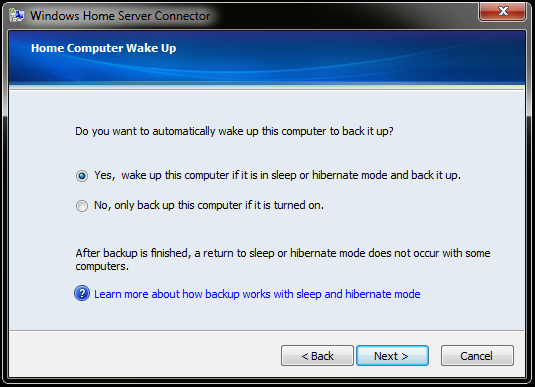 Windows Home Server supports Add-Ins, which are third-party extensions that enhance the functionality of the server from within the console software. We list our six favorites here. But while Add-Ins are useful for maintenance and administrative tasks, power users will want to install additional server software to make the most out of the machine's multi-core processor and generous stock of memory. Since WHS can run Windows software, this is a breeze. The only thing you should keep in mind is that these programs should be installed as Windows Services, so they automatically load up without any user logging onto the machine. To install these programs, you'll need to move the files over using network shares and log into your Server using Windows' Remote Desktop utility. our guide to properly setting that up here. Getting video to a networked game console is one thing, but streaming wirelessly to an iPhone or iPad requires another server service. Fortunately, there's an app for that. Air Video ($3) is an iPhone and iPad app that can play video streamed to it from a desktop or server software counterpart. Getting Air Video running on WHS requires configuring it as a service, and we show you how here. Even though you can use Remote Desktop or Remote Access to log into your Windows Home Server to transfer files, using an FTP server is far more efficient and versatile. Using FTP, you get built-in error checking for file transfers, queue transfers, and create user accounts to share with your friends and associates. WHS's unique filesystem makes setting up an FTP server more than just downloading and running an executable, so we'll show you what you need to do to get a FTP server running on your Windows Home Server. And that's it! 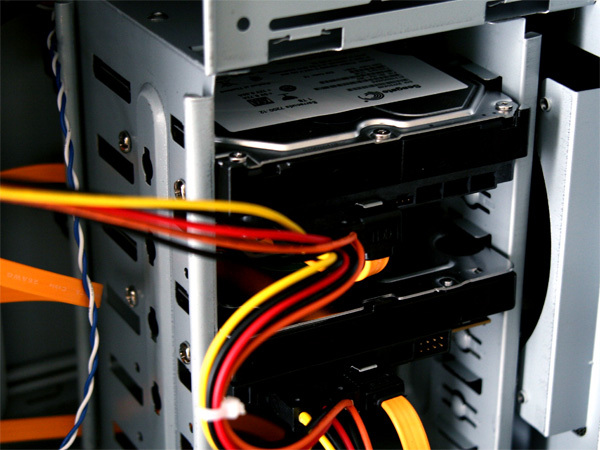 In a Home Server, your data and media files are more secure, versatile, and accessible. With disk storage prices at all time lows (2TB for approaching $100! ), you'd be foolish not to run a server, if only for backup. And if you're already running a server at home, share your experiences in the comments below!